Last fall I asked our members to contribute their time and energy, and got them, in spades: Our dynamic newsletter and web site redesigns have drawn increased attention, commitment, and new members. In November/December’s sermon, I pointed out the enormous importance of the single-issue (Separation of Church and State) 2016 voter campaign for NYCA. Now that the primaries are almost over and the conventions are coming up, we have a crucial role to play in mapping out our future and the future of the entire country. 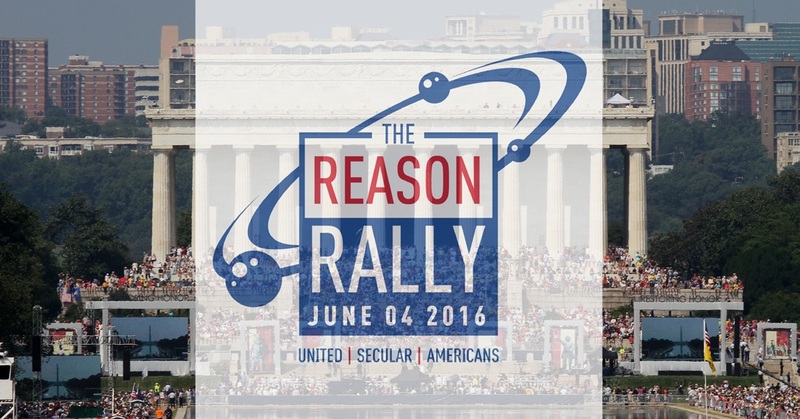 On June 4 (10am-6pm), at the Lincoln Memorial on the Mall in Washington, D.C., we will celebrate our secular, atheistic, agnostic, humanist, freethinking and non-religious beliefs with groups from all across America. It’s going to be a very big party! 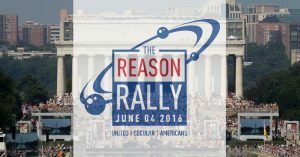 You can expect awesome speakers, bands, entertainment, and political leaders — all there to meet, support, listen to, and take the secular community very seriously. So yes, it’s a very big party, but a party with a purpose. NYCA must be a presence at the rally, and — for as many of us as can possibly make them — the planning sessions and meetings that will precede and follow it. This the most crucial election year in US history. We all know how urgent it is for us to come together as a unified voting bloc when so much is at stake! Celebrating who we are and what we’ve accomplished will give us the power to make our voices heard in November, and to reach our goals then and in the future. It’s a tough fight; we can win it by standing up for reason and making our presence felt. The more of us there are on June 4th, the more we can accomplish. Do whatever it takes to be there! Who will be there with us? Margaret Cho, Richard Dawkins, Johnny Depp, Lawrence Krauss, Bill Nye, James Randi, Eugenie Scott, Julia Sweeney, Cara Santa Maria, Yvette d’Entremont, Paul Provenza… and they are just the tip of the iceberg. Visit this web site regularly for news and updates. Of course it’s not just about the election of a new president, but about the members of Congress with whom (s)he will have to work. And also about the long-term implications of the next Supreme Court nominee. The Supreme Court is vital to our future. Without a Justice who is open to our briefs, and who can break the looming tie votes of a court with only eight members, we are unlikely to make any progress for decades, or even lose some ground hard-won in the past. So it all starts at the Congressional level: who will be elected to write and pass laws and confirm the next Supreme Court nominee. Unless we vote for an All-Democratic slate, and specifically for the 2016 Democratic Presidential Nominee, it will not happen, and we will not prevail.